In the house you’ll find a cosy living room with open-sided kitchen providing modern comfort for 6 people. The dining room opens on to the patio and allows for a view of the country side. A covered terrace is another feature. There are two bedrooms, each with a double bed, with one extra sofa bed in one of the rooms. There are 2 showers and 2 toilets. From the house, you’ll enjoy the view of the green, fresh garden. 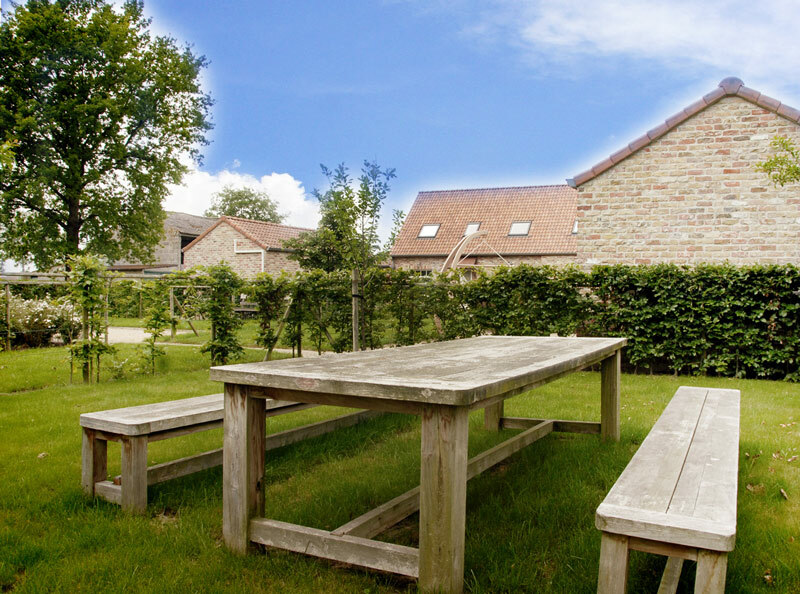 You can also rent the Hiker's Lodge together with the Holiday Cottage, for 3 persons. We make a point of keeping the cottage and party room smoke-free! You may arrive at the Holiday Cottage and the Hiker’s Lodge starting 4 p.m. The day of your departure, please leave the house before 11 a.m.
May we ask to leave the cottage and the party room in a clean and proper condition. Dishes should be properly washed and put back where you found them. Rubbish should be decently sorted in the different bins.